The Chic Ecologist came about as a way for everyone, from the everyday person to the very stylish, to experience all the great new developments in green technology. Our impact on the earth is becoming more obvious with each passing day, but we can do something about it without making drastic changes. Changing a lightbulb, using a reusable coffee cup, making local food choices add up to make a big difference with little to no extra effort. We are here to promote green living by covering the latest in green design, eco friendly products and environmental news. With a variety of viewpoints and expert opinions, we hope to turn sustainability into an everyday lifestyle choice. It can be fun, easy and save you money! Promoting sustainability and green living as a way of life for everybody. Green Chic for all! 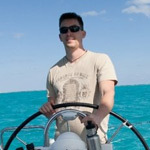 Jean-Paul LaCount is the founder and editor of The Chic Ecologist which originally began as his own personal eco blog. He is an ecologist by education and by training, spending 6 years as a professional field ecologist. He has worked for and with regulatory agencies, environmental consultants and non-profits on a variety of projects from marine biology to endangered species recovery. Born a fish, he spends as much time in the water as he can to prevent drying out. Activities include SCUBA diving, surfing, sailing, wakeboarding, swimming and on occasion, their terrestrial equivalents. 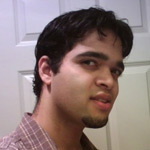 You can follow him on twitter as @chicecologist. Rachel Tamigniaux is a recent graduate from a Masters of Environmental Social Science program in Canterbury, England. She completed her undergraduate degree in environmental studies at the University of Washington in Seattle. She is currently volunteering for a non-profit focused on instilling global leadership skills in local high school students while searching for an environmentally focused research or project coordination job in the greater Seattle area. Rachel spends her free time digging in to and learning about the environmental and sustainability movement in the Pacific Northwest. Topics of interest include grassroots environmentalism, social research, environmental justice, community building, sustainability, green-living, eco-culture, eco-travel, and environmental literature. Find her on twitter as @rtamigniaux, and facebook. 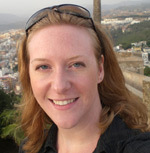 Erica Dean studied Environmental Studies at the University of Washington. Currently she is living in California, working for Stanford at the SLAC National Accelerator Laboratory, helping with their sustainability efforts. She is involved in green building projects, specifically LEED certified new buildings, and in decreasing energy and water use with existing buildings. Previous to SLAC, she worked for Lavera Skin Care, one of Europe’s leading organic skin care companies. She has a strong passion for green living, organic and locally sourced health and body products, cleaning products, and foods. She’s always looking for ways to convert people to the green side. Follow her on twitter as @deanabelle and facebook. 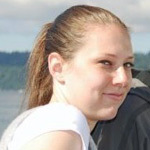 Katy Maynard is currently a student at the University of Washington studying environmental economics. She has challenged herself with various writing courses every quarter and enjoys reading many different types of books, blogs, and articles daily which focus on the environment and technology. She has a curious mind and creative spirit which enthuses her to share her ideas with others, as well as finding new ways of communicating these ideas. She enjoys singing, finding new recipes, and being outside skiing, running, reading or writing in the grass on a warm Seattle day. We write about artists, companies and products that are both ecologically conscious and display good design and function. If you have a tip, story, company, product or artwork you would like us to cover, shoot us a note.